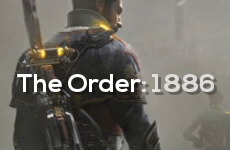 Game Informer interviewed Ready At Dawn where they talk about their new IP, The Order: 1886. We don't see actual gameplay, but keep in mind that the footage from the trailer was in-engine, meaning gameplay will definitely look that good. "For you were this day in the morn, the best knight in the world; but who should say so now, he shall be a liar, for there is now one better than you"
The great thing about it though is that Santa Monica is helping them make this game. Santa Monica created the superb gameplay mechanics of the God of War series. It will be interesting to see what they will do with a third person shooter. To me it looks like Bioshock: Infinite in third person, which is really good.